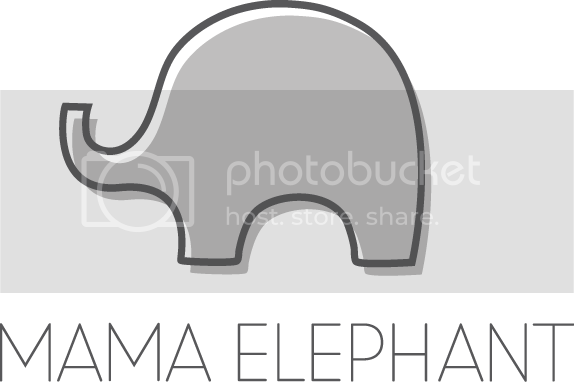 Welcome to the Mama Elephant Design Team blog hop! Today I’m sharing two cards I made with the new Mama Elephant Bright Lights stamp set. For my first card, I heat embossed the string lights with white embossing powder then ink blended a soft, light blue background. I then stamped the light bulbs with red dye ink and fussy cut them so I can pop them up for dimension. Next, I die cut some Bristol paper with Cloud Nine Creative Cuts and Framed Tags – Union Square Creative Cuts to create an interesting frame. I ink blended with Distress Ink in Candy Apple and Spun Sugar. Then, I splatter paint onto it for even more interest. I finished the cover by heat embossing the sentiment after the panel was completely dry. I adhere the entire think on with foam tape and this card is finished! For my next card, I heat embossed the string lights in silver and then the oblong bulbs in gold. I had that Christmas song, “Silver and Gold” stuck in my head and decided I wanted to make an non-traditional Christmas card. After I finished embossing, I ink blended in purples and pinks to get a elegant background. For my sentiment, I die cut Oh Joy Halo Script from last month’s release in glitter paper and the halo in vellum. Next, I took a sentiment from Bright Lights and heat embossed in silver onto black paper. If I was to do this again, I would use a dark purple…but I didn’t have any, so black it is! I adhered that onto my card and it’s complete! So there you have it. Two relatively easy Christmas cards – two completely different looks and both equally fun and adorable! Don’t forget to leave a message for a chance to win some amazing prizes! Keep hopping along with our amazing designers. You will find the list at the end of this post. Now let’s get on with the Stampede with our designers! 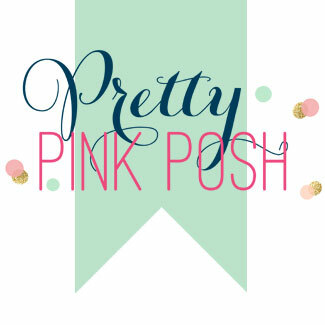 Love the non-traditional pink, gold and silver colour palette. So pretty and elegant. Both cards are stunning. I love the frame on your first card and I really like the oh joy die cut on the second. I love the grey lights on the pink card! Very sweet, your blended backgrounds are fantastic! Love your cards! They are so clean looking and non-traditional! So very cute. Thanks for sharing. Nice and chic cards. Love the Bright Lights stamp and the different types of lights it offers for the string. I love your “Oh Joy” card! This is such an awesome release. It’s time to place and order and get busy crafting holiday cards and tags!!!! Both of your cards are so pretty! Love them! 1. Oh my!!! Both your cards are so lovely!!! And your colouring is really adorable!!! Both so pretty! Love your ink blending! Quite lovely!! Love the non-traditional color combos. This is the stamp I have been waiting for! Thank you for choosing it for the hop! Love it! I really like these Bright Lights stamp set. I love the fact that you can use two different shapes! Thanks for sharing. Your red and blue card is so bright and cheery, and I love the purple, gold, and silver combo on your second card — it’s so elegant. Ah super fun cards! Love your inking!! I’m a ME facebook liker! I’m a ME Twitter follower! I’m a ME insta follower!! So cute and festive with the string of lights. Love the cards, stamps and dies!! The blue background card reminds me of sky-writing. Wonderfully sweet and festive cards! Gorgeous blending and designs. Love that the light set has exchangable bulbs. Love the pink and silver card. Love that pretty card with the soft purple and pink background! Very nicely done! I love that set and you have made 2 beautiful cards from it. My favorite is the pink and silver. That is such an interesting shade you got by blending the pink and purple. Great card and great release. Lovely cards. Such simple yet stunning design play. Pretty colors too! So fun!!! These are adorable AND really pretty! The options with these light strands are fabulous. Very pretty! I especially like the purple card! I love the two different looks. Now that you have talked about Silver and Gold, I will be singing that all day!! Love your fun cards Thi! The Bright Lights stamp set is so pretty- seems like you can make a lot of fun designs with it! Your cards are gorgeous! Great cards, I especially love the pretty pink card! The first card is very creative. Love the elevated bits of this cared. Great display of this stamp set. Both cards ate so cute! Love that Bright Lights set! I love the colors you used! The RED is so vivid! What a great background! Love the colors and designs-just beautiful! Sweet cards! Love your color combos! Awesome new designs! Love how you can get two different looks from the bright lights set. Your backgrounds are beautiful.